Situated in an enviable peaceful setting, it has wonderful views over the village and surrounding mountains, yet is just 3 minutes’ walk from the centre of the village. In the mornings it is a short ski down to the Nasserein gondola, and in the afternoon you can ski home to the chalet from a main run or back to resort from many. The chalet has a light and airy dining room and lounge area, with superb views out over the slopes. Bedrooms are cheerfully decorated, and all have en suite facilities. If you feel like a sauna, massage or a swim after a hard day on the slopes, St. Anton’s excellent Wellness Centre is only a couple of minute’s from the chalet’s front door, and the famous bars and restaurants of the village centre are only 3 minutes away. Yet all the action is distant enough for the Alpenheim to retain its tranquil feel. This is one of our most popular chalets! Reception, dining-room with tiled stove and panoramic views, small TV room. Children 10 years and under are also welcome as follows – in chalet on any date where one group books the entire chalet for their exclusive use. We serve a separate High Tea at 5:30pm for children aged 10 years and under with an appropriate menu. Unless children are part of an ‘exclusive use’ whole-chalet booking in chalets, it is not possible for children aged 10 years and under to eat at the adult sitting. We update Chalet Alpenheim's details often, but facilities do change. e.g. some extras listed by the supplier as "free" or included might only be for the first time you use them, or for one time per party, then charged for further use. If any specific feature is essential to your holiday, make sure you ask us to confirm the details of it before you book your holiday. This package holiday to Chalet Alpenheim in St Anton, Austria departs Saturday 14th December 2019, for a 7 night stay on a "catered chalet" board basis. A local tourist tax (Taxe de Sejour or Kurtaxe) is levied by many councils in European ski resorts. It varies by standard and type of accommodation and is age dependent, so not everyone is charged. It's not included in the basic price of your holiday and is usually paid locally. For reference, the average charged in winter 15/16 was between 50p and £2 per person, per night. St Anton lift pass price last reported as €228 (adult 6 day). Ask for a quote when booking Chalet Alpenheim. 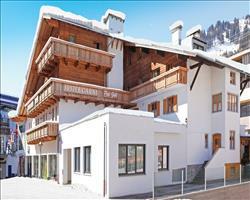 Chalet Rosanna St Anton Austria, Gatwick to Innsbruck 14th December. 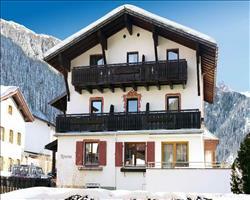 Chalet Pepi Gabl St Anton Austria, Gatwick to Innsbruck 14th December. Bedroom amazing and bathroom brilliant – both absolutely top notch and I can’t complain at all, 10/10! The staff and food were fine, a ski in/out location would obviously have been perfect but you have to walk to get anywhere in St Anton. One weird thing was that the owner came in one night and asked us to be quiet… She was obviously living in a separate half of the chalet and when we were having a meal she just walked in, and didn’t speak any English, just shushed us! We had no idea who she was! That was the only downside and she didn’t come back after that, so overall a good stay. A bit different to the Schlosskopf where we stayed last year in terms of size, but that wasn’t a problem! The only thing that we were disappointed with was the general cleanliness (e.g. there was a food stain on the window when we arrived and it was still there when we left). But otherwise we were reasonably happy. I liked the food, our child is 11 and there were other kids there aged 2-3. The children’s portion sizes remained the same whatever their age, so some evenings he was a bit hungry. Location was perfect for us – it’s not quite 5 minutes as advertised though, probably closer to ten with ski boots etc. The chalet is very pretty and we had no trouble with the accommodation – it was the weather that made the week a bad one (white outs, rain and so much snow that we couldn’t see), but you can’t control that! The people who ran the chalet were very pleasant. I did come back with a terrible cold and sore throat which I’ve put down to the fact that the chalet wasn’t heated properly. Usually chalets are so warm you end up opening windows but this time our bedroom was very cold. I did speak to the chalet girl about it on the first day and she said she’d speak to the owner but nothing came of it. The food was good, not anything spectacular but generally OK. They did a tremendous job with the cakes which were lovely. Initially it was a bit of a walk to get to the snow but by the last few days there had been so much snowfall that I could ski back to the chalet.